LIBERAL, KS �?? Providers and team members from the Southwest Professional Physicians�?? General Surgery Clinic are now performing treatments and caring for patients at a new location. The SWPP General Surgery Clinic reopened Monday on the second floor of the Physician Office Building, 305 W.15th Street, Suite 204, in Liberal. Southwest Medical Center�? ?s general surgeons, Dr. Rory Howard and Dr. Jose Maeda, have transitioned into this new clinic space with their patient care team. 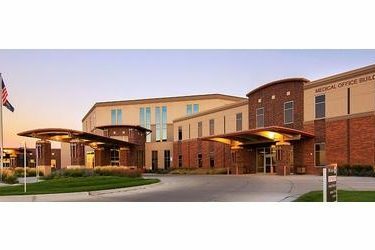 Relocating from the former 555 W. 15th Street location, the new clinic space is in closer proximity to Southwest Medical Center, adding convenience for patients accessing additional hospital services, such as the laboratory, diagnostic imaging department, and cafeteria. Southwest Medical Center�? ?s grounds also include a CityBus stop near the Physician Office Building entrance, bringing added benefit to patients with limited transportation. The transition to the new clinic address allows access to more sophisticated equipment, which enables surgeons to obtain a more precise diagnosis. The clinic is also adjacent to Southwest Medical Center�? ?s Wound Care Center, where all wound care services will now be performed. General surgeons refer and treat patients needing these wound care services. An open house event for the SWPP General Surgery clinic is planned for December 3. For more information about the SWPP General Surgery Clinic, please call (620) 624-4946 or visit www.swppclinics.com.